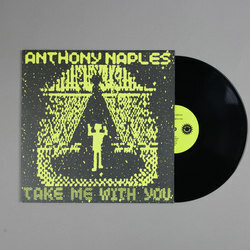 Anthony Naples - Take Me With You. Vinyl LP. Bleep. Anthony Naples issues his second album and surprise release Take Me With You on his occasional ANS imprint. 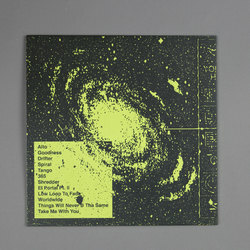 Having started out as a DJ mixtape for close friends and family, this is the sound of Anthony Naples moving things deep into the after-hours sessions with excellent results... Much like his close ally Huerco S., Anthony Naples takes on freeform ambient music which is sure to be the hit at every post-party party from here to oblivion. While there are elements from his essentials for TTT and Text, this is AI techno that has come floating down toward trip-hop tempos. Blissful from the word go!